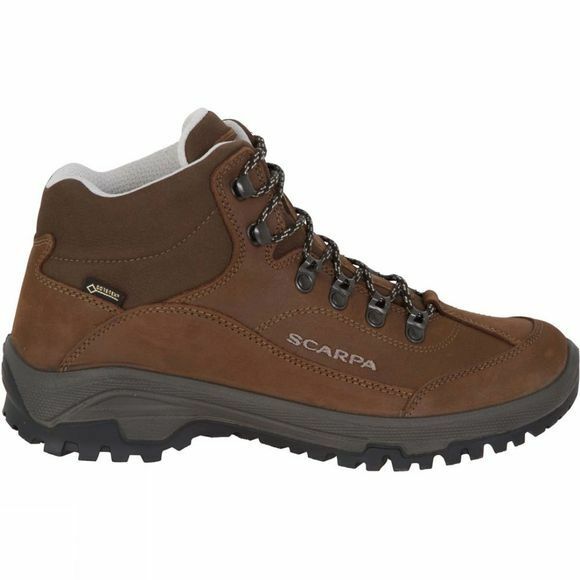 The Women's Cyrus Mid GTX Shoe from Scarpa is durable and grippy making it ideal for a wide range of underfoot terrain. It has a nubuck upper that will mold to the shape of your foot creating a comfortable environment for your feet that you won't want to be without. 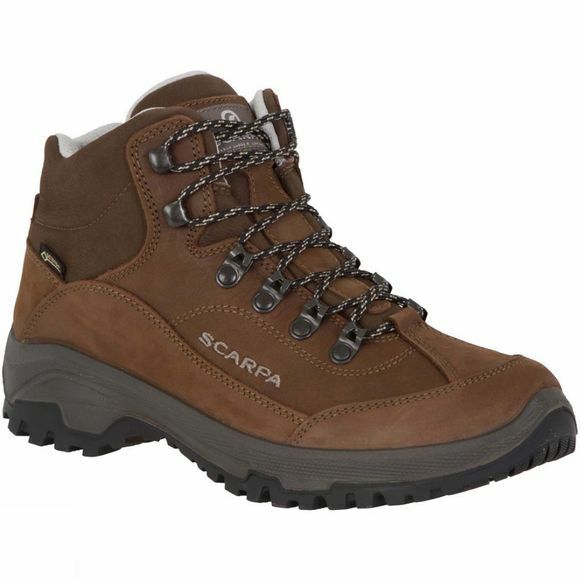 Whether you are pounding the city pavements or or seeking adventure across low level trails this shoe from Scarpa will offer comfort, protection and durability through all your favourite adventures.